Announcing the All-New Online Writing Pro Jobs Board. Whether you’re in the market to hire a writer or you’d like to find a writing job, this is the place for you. Looking for a job as an online writer? Here’s where you’ll find online writing jobs that pay. You’ll also find blogging jobs, social media marketing jobs and all kinds of other jobs for online freelance writers. Looking for a writing or social media professional? You can post your job here and have it featured right at the top. 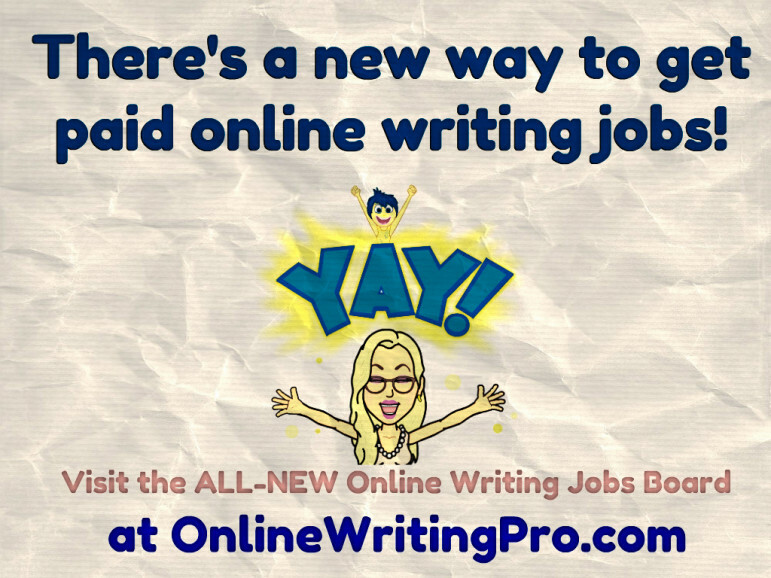 You can land your next writing job from the Online Writing Pro Writing Jobs Board! Now after you submit a few proposals and even job applications, you might want to brush up on your skills and on the industry a little. So be sure you take a moment to check out the OWP tips on how to make money online with your writing and the OWP ever-evolving writing resources section to find ways to improve your freelance income. If you’re still in the mood to learn more about how to make money online, you can always check out our Blog-Fire section.